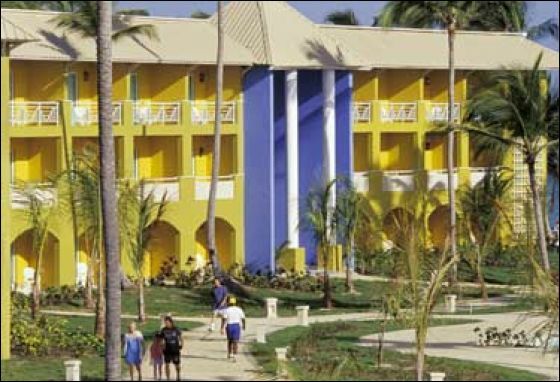 All Inclusive resort located at Bávaro beach, only 35 minute-drive from the International Airport of Punta Cana and 90 minutes from La Romana International Airport. The unparalleled white sands and crystal water of its beach, tall coconut trees and colorful landscapes, award this tropical resort the titled of "jewel". 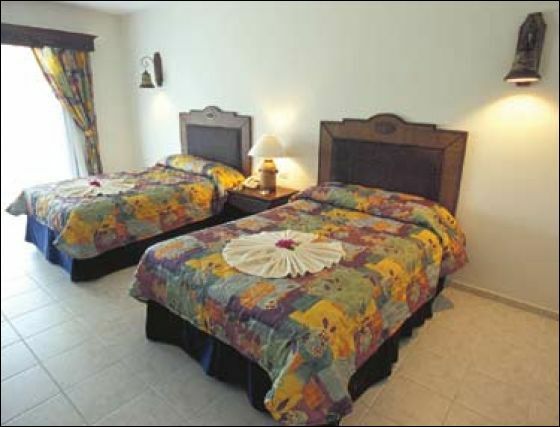 Grand Paradise Bávaro is ideal for families with small children for its compact layout. 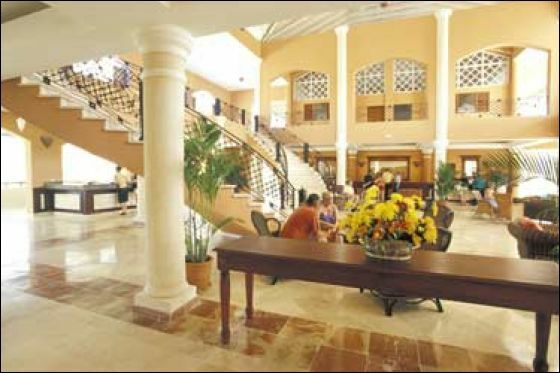 The staff performs 'round-the-clock' uninterrupted service with its 24 hour All Inclusive program. To satisfy the different pleasures of our guests, this Resort is provided with 3 sections: Beach, where it is possible to enjoy a familiar atmosphere and full of entertainment next to the beach; Club, for those who prefer a vacation in a more relaxed ambience and finally the Select section, for whom equally want to enjoy a calm ambience in the day and pleasant parties in the nights. A wide range of options that please all ages and tastes counter parted with the friendliest of services. They have an extended area with one Queen size bed, air conditioned, telephone, cable TV, safety deposit box, hair dryer, minibar (soft drinks), full bath, jacuzzi, iron and ironing board, terrace or balcony, garden or pool view. These rooms have 2 separated areas: a bedroom with one King size bed, jacuzzi, air conditioned, cable TV, telephone, iron and ironing board, safety deposit box, full bath, hair dryer and mini bar (soft drinks); and, a living room with a sofa-bed, full bath, terrace or balcony, garden or pool view. Two bedroom Suites also available. With two double beds or one King size bed, air conditioning, cable TV, telephone, safety deposit box ($), hair dryer, minibar (soft drinks), full bath, iron and ironing board (upon request), terrace or balcony, garden, pool or ocean view. ** Reservation required. Dress code apply. Numerous tour operators complement the place with infinite options for entertainment such as fourwheel rides, theme park visits, swimming with sharks, lake visits, helicopter rides and more. Boredom does not exist, and Bávaro’s visitors can always choose between a quiet nap on the beach or fun and activity with the Animation Crew. Amhsa Marina features bars and discos to fill the night. 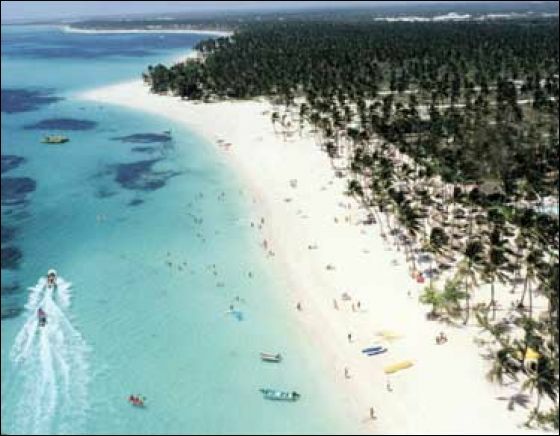 Aquatic sports such as sailing, kayak, scuba or snorkeling, keep tourists busy on the blue waters. Golf lovers, as well, will find over 5 impressive courses at their disposition. 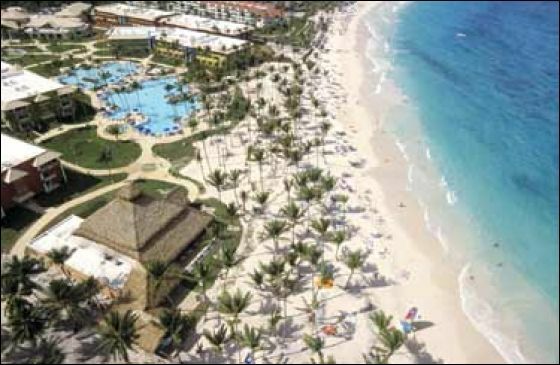 We stayed at the Grand Paradise because it was significantly cheaper than other resorts. We were looking for a low cost getaway and for what we paid, we are more than satisfied! Frank, Marcy and Karin gave us plenty of resort choices ranging in price. We knew going in that this is not a luxury high end resort. 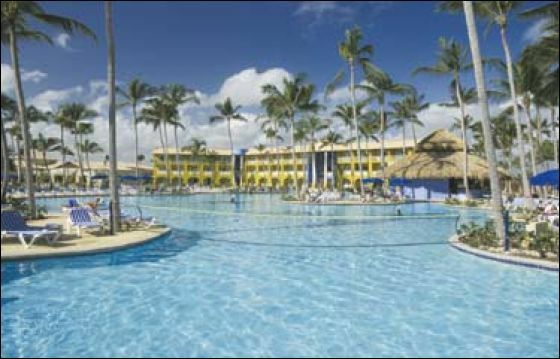 If you can get us another great deal at this resort, we definitely would take it! If you are planning a vacation where you want to be pampered and waited on hand and food, this is probably not the place for you. 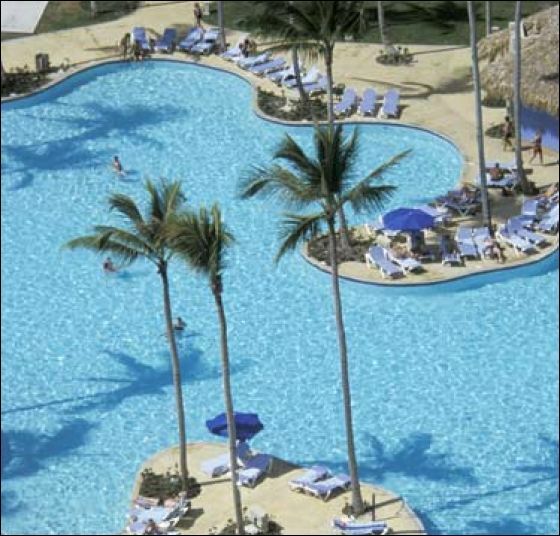 But if you are looking for a great value, great beach, great people and clean resort, you can't beat this resort. The water is gorgeous and beaches, as we were told, go on for miles and miles. Again, thanks for all of your help, advise and patience with us! You knew just what we were looking for and made this trip a breeze. Just like you said Marcy, it really is no sweat travel! Uhhhhhh Home Again! 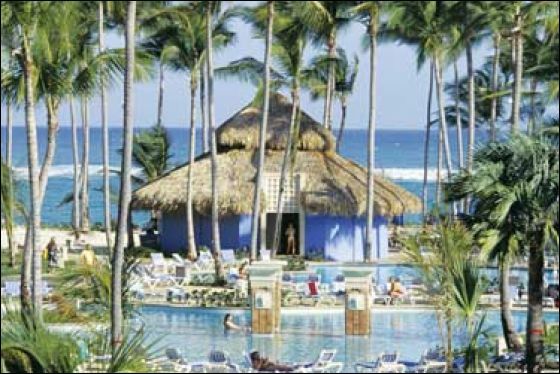 We would rather be back at the Grand Paradise Bavaro! You were so right in this resort! It certainly was what we wanted! The beaches as you said were the best we have ever seen! We got up early each and every morning and walked for what seemed to be miles! We are so happy that we chose this resort as it had all we wanted! You guys are so great at listening to what we were looking for on this vacation! You made this one of the easiest trips ever! We will be sending your name to all of our family and friends - you are the BEST! We know that a few have already contacted you. After hearing about your service, seeing our wonderful pictures and beautiful tans - everyone wants to know about you guys!